One stop job search engine for job seekers to find job at one place. 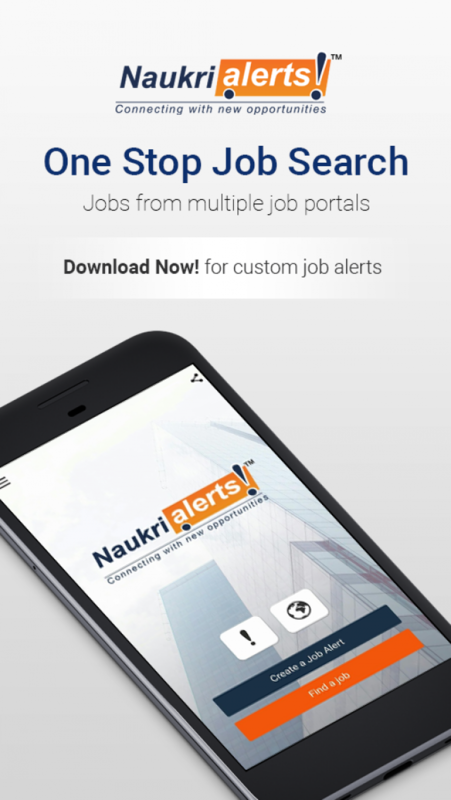 NaukriAlerts.com crawls job portals to provide you almost every new job opportunity but at your convenient time. You can find government as well as private job here along with the filters for Fresher jobs & Walkin interviews. In case if employers like your profile then they can invite you for job application as naukrialerts won't disclose your personal details like phone number email id to employers until you apply on job opening or accept job invites. Web & Mobile app development company.